A recent study on the disclosure of anti-corruption practices (business integrity) has found Golden Agri-Resources (GAR) to be in the top 10 companies in ASEAN reporting on business integrity. This is a great achievement, as GAR is the only agricultural business to have made the top 10 list. 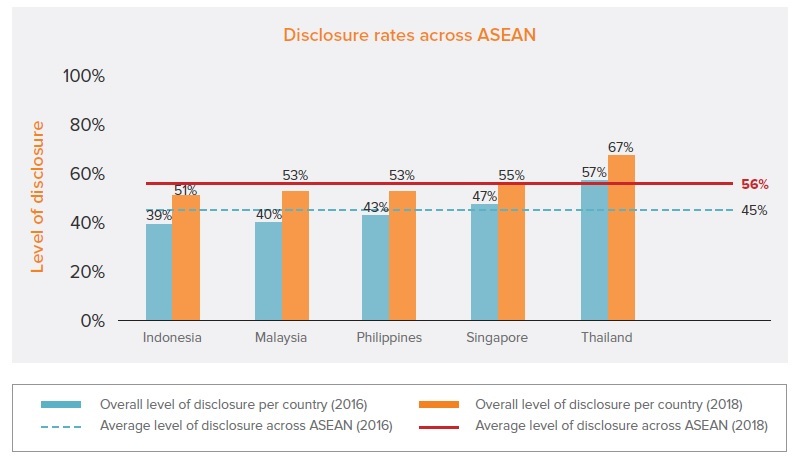 Companies with highest disclosure rate across ASEAN. Tackling corruption is crucial to sustainable development. The Organisation for Economic Co-operation and Development (OECD) estimates that corruption costs society US $2.6 trillion globally each year. That is money that business and government could spend far more productively on providing goods and services that meet societal needs. Fighting corruption and protecting the wealth and value created by business activities requires action from multiple actors, including business, government and civil society. Increased disclosure on policies and practices from companies is one of the important components of the global fight against corruption. 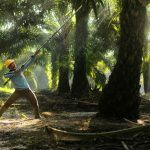 The study is part of a larger push for more transparency on matters such as business integrity and sustainability that is sweeping across Southeast Asia. Regulators in all five of the markets covered have all encouraged or even mandated more disclosure from companies beyond what is traditionally required by standard financial reporting – i.e. 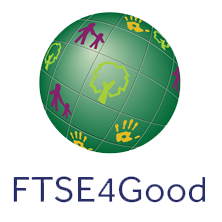 reporting on Environmental, Social and Governance (ESG) matters. While some companies may feel that the emphasis on reporting and disclosure is burdensome at times, there is real value in the reporting process that can’t be overlooked. You may have heard the business adage ‘what gets measured gets managed.’ What investors, regulators and other stakeholders have realised is that there is one additional link to this chain – what gets reported gets measured, which then gets managed. Having a policy commitment is no longer sufficient. By not only disclosing what its policies are, but also reporting information on their implementation in its sustainability reporting, GAR is demonstrating to stakeholders that it is managing the challenges it faces, including matters of corruption and business integrity. 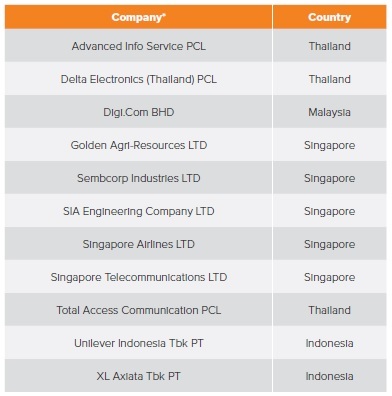 The study, conducted by the ASEAN CSR Network and Centre for Governance, Institutions and Organisations at NUS Business School, assessed the top 50 listed companies in five markets in ASEAN (Indonesia, Malaysia, Philippines, Singapore and Thailand). It looked at publicly available information such as annual reports, corporate governance reports, sustainability reports, codes of conducts, and other relevant policies. While the study did not disclose company-specific scores, by looking at the methodology used, there are areas of great strength and improvement for GAR. For example, GAR’s Code of Conduct provides very clear direction on bribery and corruption matters, which applies to all staff and third parties (such as consultants, contractors, and other business partners) regardless of contract type. In line with global best practice, the study also assessed the extent to which anti-corruption policies apply to agents and suppliers. It found that “the anti-corruption policies of most companies focus on their internal personnel, but fail to include their external stakeholders such as agents and suppliers”. GAR’s Indonesian subsidiary PT SMART Tbk has a Supplier Code of Conduct, which is communicated to all suppliers upon contracting. Another key gap across companies in all the countries assessed in the study was the lack in ASEAN specific language and guidance on facilitation payments, a form of bribery, within their policies. While not explicit within the code of conduct, GAR’s management team states that this is something they do lookout for, particularly since in Singapore, the Penal Code and the Prevention of Corruption Act (PCA) prohibits facilitation payments, as part of its coverage of bribery, in both public service and the private sector. In addition to the Code of Conduct, GAR’s Social and Environmental Policy (GSEP) set out a comprehensive set of sustainability commitments that apply not only to its direct operations, but also extends to its third-party suppliers. 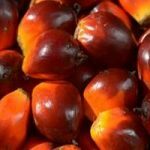 As a palm oil company operating in Indonesia, cascading these standards down to suppliers and providing the support to ensure that suppliers can adopt these practices is key. In conclusion, the study found that company disclosures on business integrity issues are improving over time, based on a comparison against the same study conducted two years earlier in 2016. The message here is that this is a journey of continuous improvement. GAR, as well as the other companies topping the list, will have to continue to build on its efforts to ensure that they remain one of the leading companies on business integrity in ASEAN two years from now. One of the key areas measured in the study is ‘reporting and monitoring’, something GAR places strong emphasis on. Learn more here. Thomas Milburn is an Associate Director with consultancy Corporate Citizenship, of which GAR is a client He has spent the last decade advising and working with large global companies in different industry sectors to tackle sustainability challenges and create long-term value for business and society. At Corporate Citizenship, having started in the London office, he is now based in Singapore servicing clients across Southeast Asia. His specialises in sustainability strategy, sustainability reporting and corporate governance. Thomas holds an MSc in Corporate Governance and Business Ethics from Birkbeck College, University of London. To keep up-to-date on our sustainability efforts, sign-up for our monthly e-newsletter here.